In 2018 Gallup conducted a survey in order to examine the outcomes and experiences of our graduate alumni. The goal was to gain a more holistic view of the alumni experience and evaluate the long term success of our graduates. To achieve this, Gallup asked alumni from 2008 through 2017 to complete a survey designed specifically for NCU. The survey examined several key topics, including why the respondent chose NCU, if they would recommend NCU to their family, friends and colleagues and the perceived value of their education. Additional topics looked at workplace engagement and community involvement. 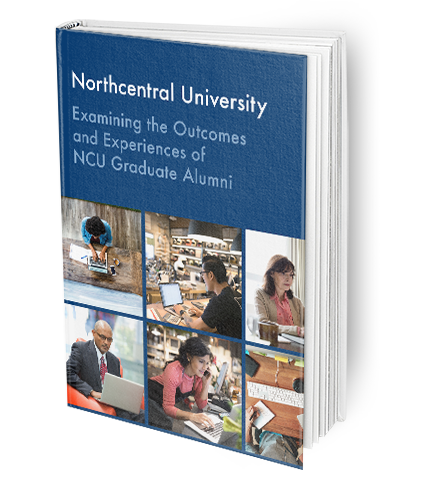 The information revealed through Gallup’s research provided insight into not only how our alumni felt about their NCU education, but also about the impact they were having in their organizations and their communities. What is a Gallup survey? Gallup surveys are studies conducted on behalf of organizations through Gallup, a global analytics firm. Gallup was founded in 1935 by George Gallup and has grown to become one of the most trusted sources of analytical data in the world. Organizations around the world rely on Gallup to help them make data-driven decisions that best meet the needs of their clients.